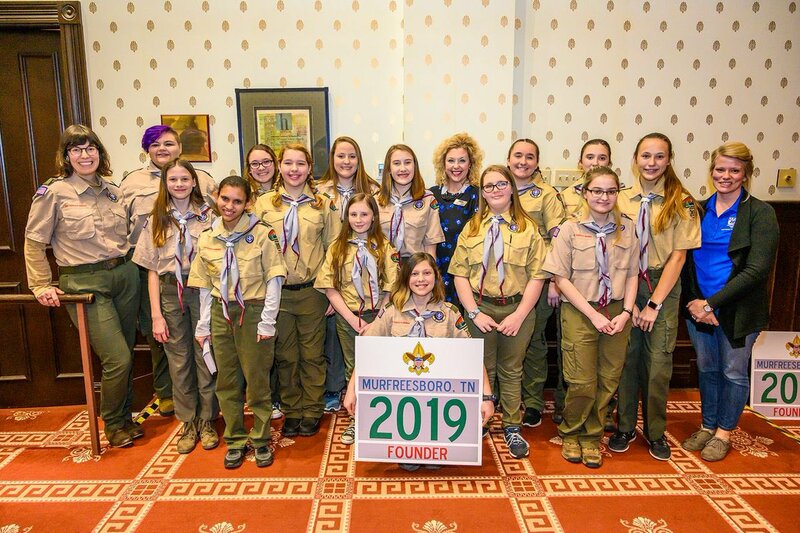 It’s official: Tennessee welcomes all-girl Boy Scouts of America troop. The article says it won’t be co-ed. We’ll reserve judgement. Didn’t the BSA file for bankruptcy in December? Ya think this may be why over a million boys dropped out of scouting last year alone? I’m waiting for the BSA to put the Philmont Ranch in northern New Mexico. About 17,000 acres of the most beautiful land on Gods green earth is sure to find a buyer! How DARE the scouts assume any of these children’s gender identities!!!!!! Stupid. They may as well just remove gender identification completely and just reorganize it as one one group called The Scouts of America since girls are allowed in the Boy Scouts and vice versa. Better yet, just rename it The Scouts so potential scouts that are foreign born don’t feel alienated. Are they gonna sell cookies or hike in the woods? They could have joined the Girl Scouts, except that organization is now reserved for REAL girls – the kind with inverse vaginas.